Happy Holidays from Cavalcade Auto! 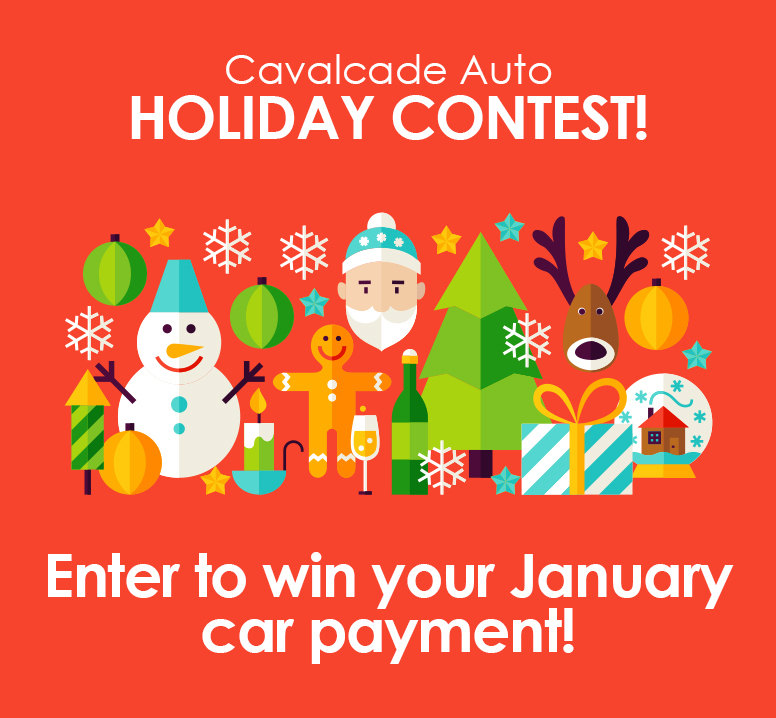 To celebrate the season, we want to give our customers a chance to win their JANUARY CAR PAYMENT! Last day to enter is December 30, 2016. One entry per household. Duplicate entries will not be considered for the draw. Please use the same name in this form as on your documents with us here at Cavalcade. Thank you! Entering the contest for win your january payment. Thanks.